On Wednesday 7th March Year 3 were excited to welcome a special visitor to the class. 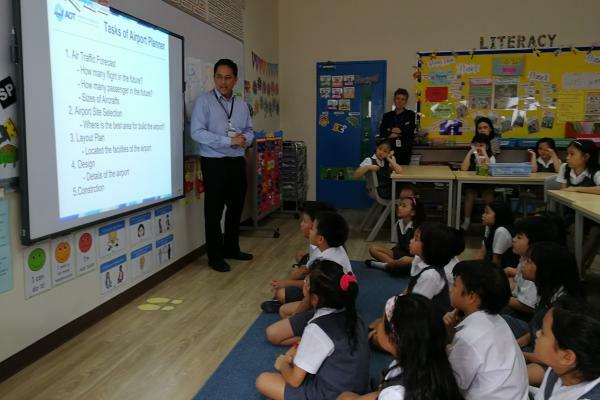 Enggie from 3AL asked his Dad, K. Kitiporn Bhaoboonserm, to come and speak to our classes about his job with Airports of Thailand. Year 3 have really enjoyed their 'Airports' IPC topic and it was a very special opportunity for them to hear about what it takes to be an Airport Planner. Thank you K. Kitaporn for sharing your experiences with the students and for explaining about what your job involves.